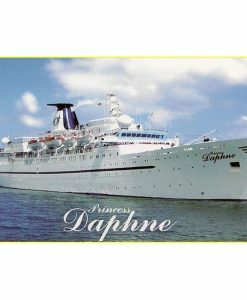 A ‘reluctant remake’ as we now concede that ships that had the originals onboard, the pre-1960 ships, are all gone. 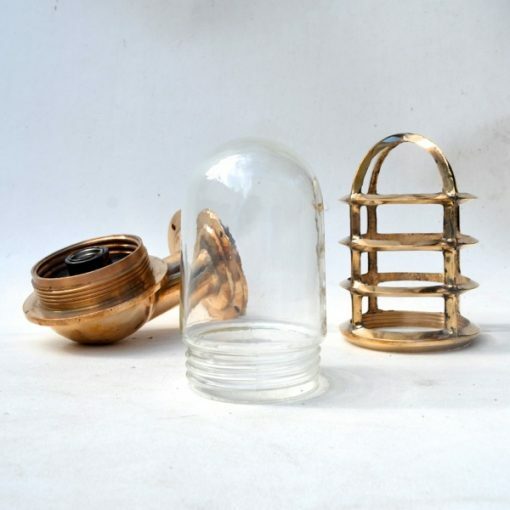 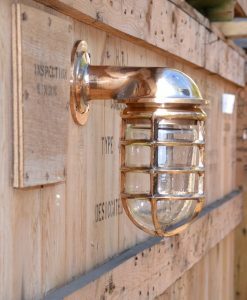 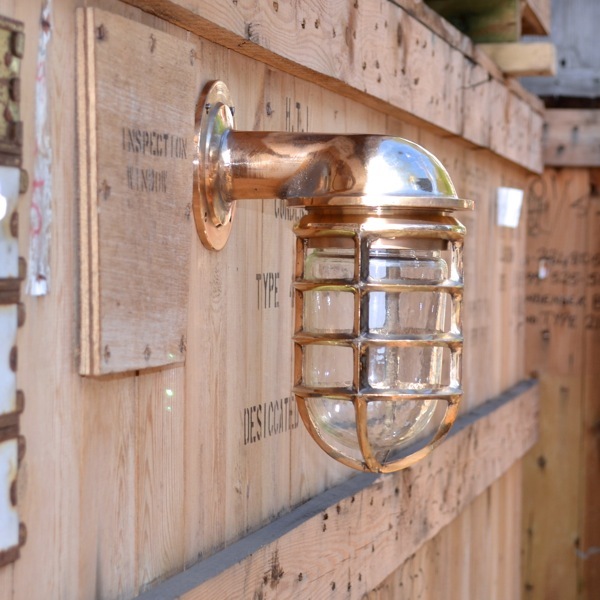 Still, we have stayed faithful to the design and build quality, in fact, to get even closer to authenticity we have even used original ‘jam-jar’ threaded glasses that we salvage from newer lights we find onboard the modern ships at the ship-breakers. 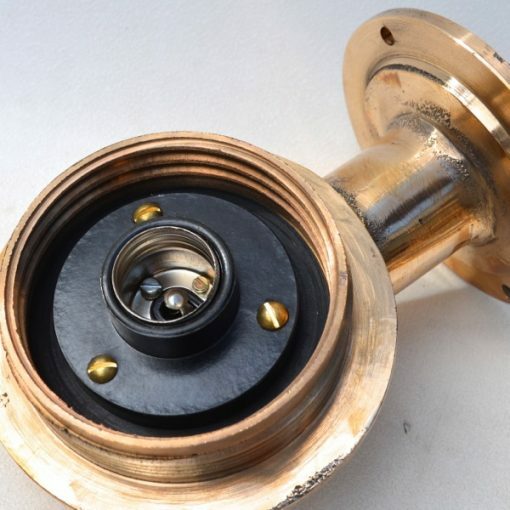 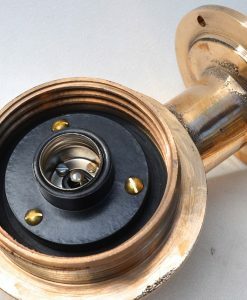 The gun-metal bronze that we use when making these is also salvaged directly from the high grade bronze components in the engine rooms of the ships. 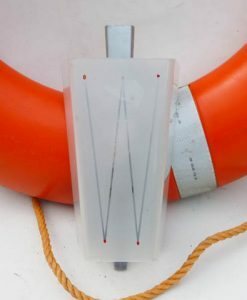 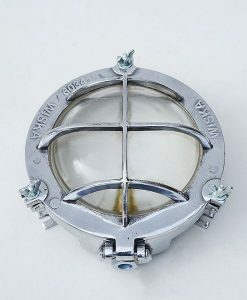 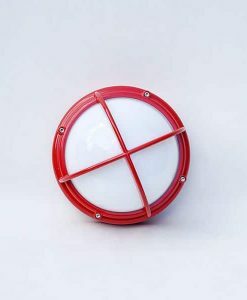 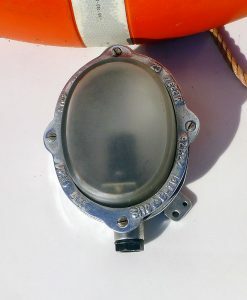 As you would expect with a light designed long ago for sailors & seaworthiness, access to the bulb fitting and the wiring thereof is extremely simple. 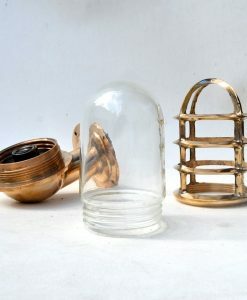 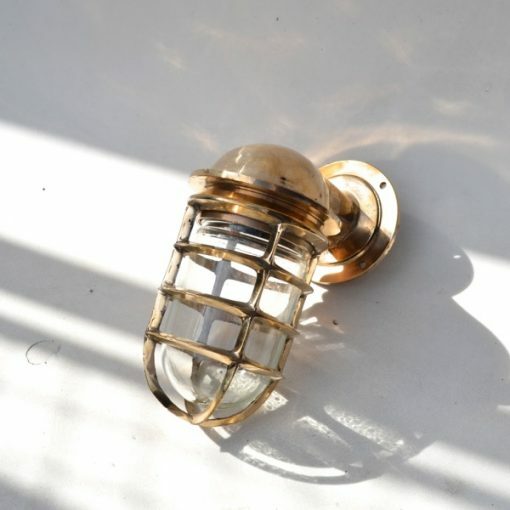 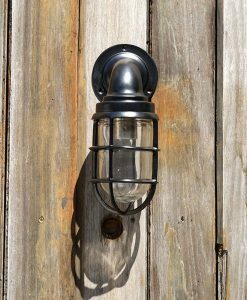 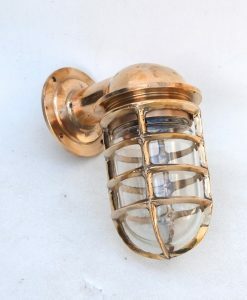 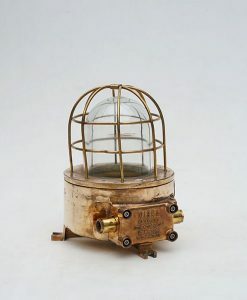 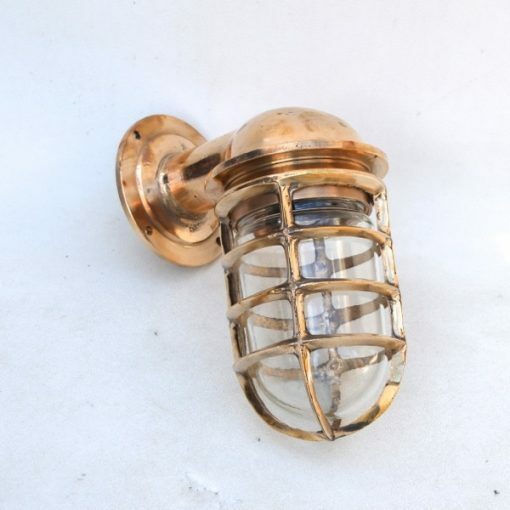 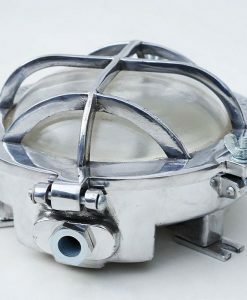 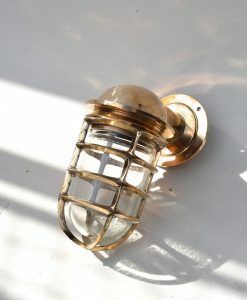 The cast bronze cage is threaded, as is the glass, and both spin-off the body of the light simply & quickly. 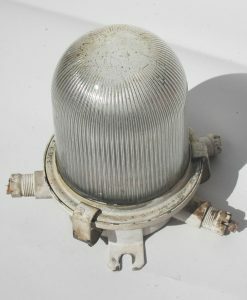 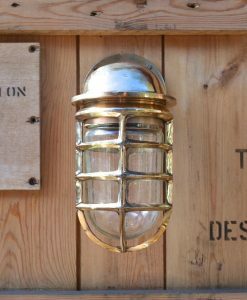 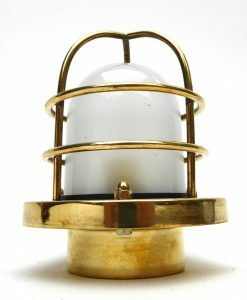 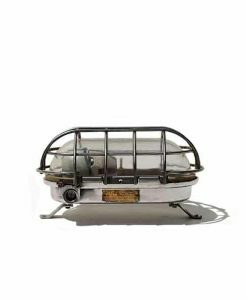 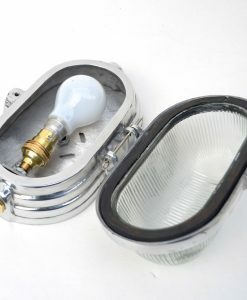 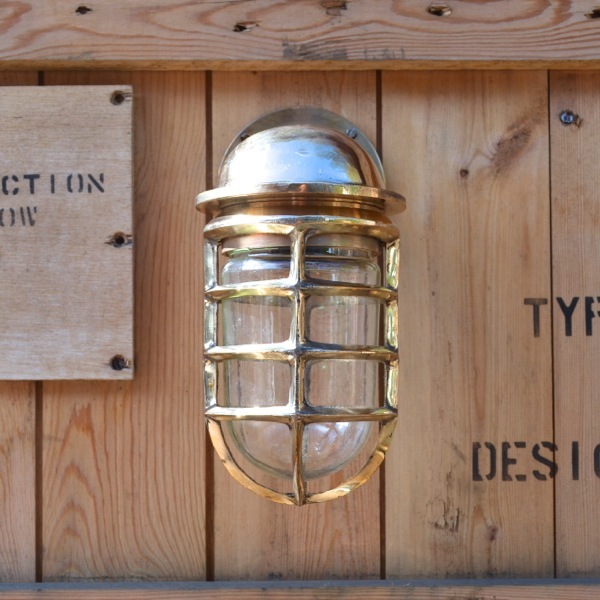 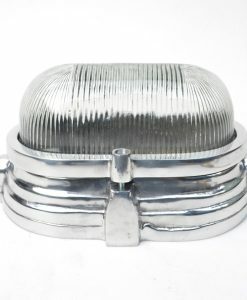 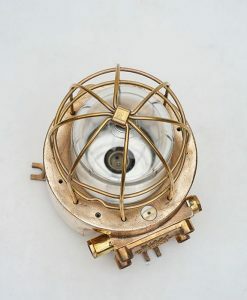 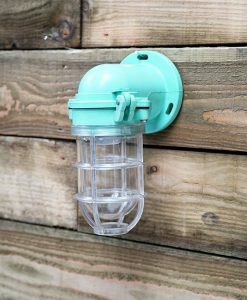 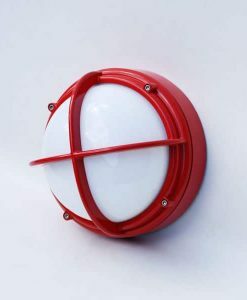 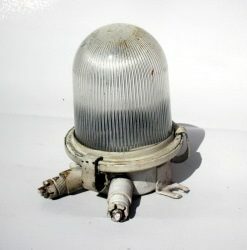 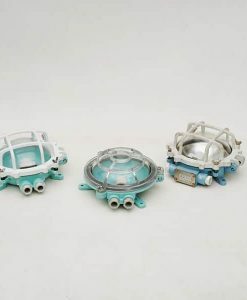 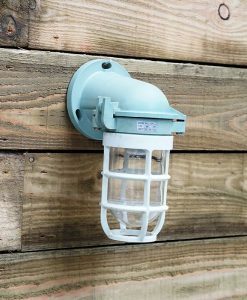 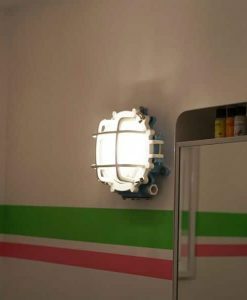 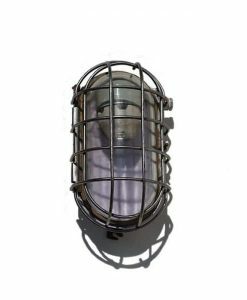 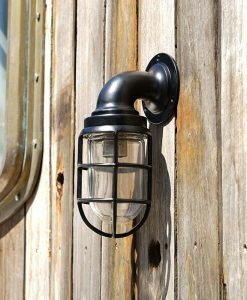 We expect to be making these timeless lights for ‘forever & a day’ and seeing as we don’t have to climb around asbestos-ridden ships to salvage the originals, we can replace them and therefore keep them very reasonably priced. 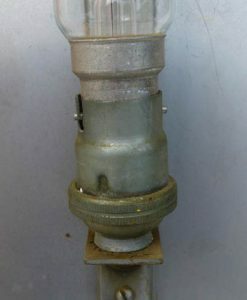 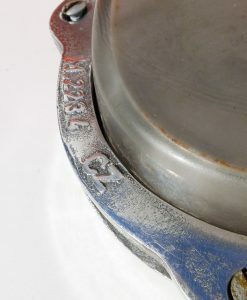 21cm 8.25in height x 18cm 7in deep.